Because I really wanted to try this recipe before I committed to making a big batch of scones... This ABC edition is about making scones. Remember we bake from Abby Dodge's book The Weekend Baker? So far I've made some pretty good recipes, had one or two bummers and this was again a hit. It's too bad I can't let you bite into them, they're wonderfully flaky and very very tasty. Kids "complained" they were almost cake like! Complained because I said they could try a little butter and blue berry jam on them but they also like them plain and I only made 6 so what were they supposed to do? Now they had to choose which bite would go with jam and which to have plain LOL. I completely forgot to add the chocolate chips I had already laid out, so the flavour of these were "just" orange zest and vanilla... lovely! Maybe it's a good idea to follow Abby's big batch suggestions so there's always a container with already mixed dry ingredients on hand, these are ready to bake in 10 minutes. Oh and I used my food processer to cut the butter in the flour. I do have this dandy little gadget but I love my Magimix to do the work for me. Just have a light hand with pushing the button (rather use the "pulse" button than the continuous one to not overmix). Enjoy mine and have a look at my fellow ABC Bakers, here they are: ABC bakers. Um ... It's been way too long since we had scones. Love the "complaints". Yummy! This recipe did make wonderful scones! Are we dutch or what: making a small batch first...he he. But I agree definitely make a big batch in the near future, big hit here too! You're so right Lien! I was surprised by the speed these were mixed and ready to bake, so it certainly pays of to have a big batch on hand, lovely for weekend breakfasts! This is Joy from "Hot Oven, Warm Heart," and I just became a member of ABC. I’m so happy to be a part of the group, and make some new blogging baker friends- hopefully you included. I'm very glad the scones were a hit with you and your family. 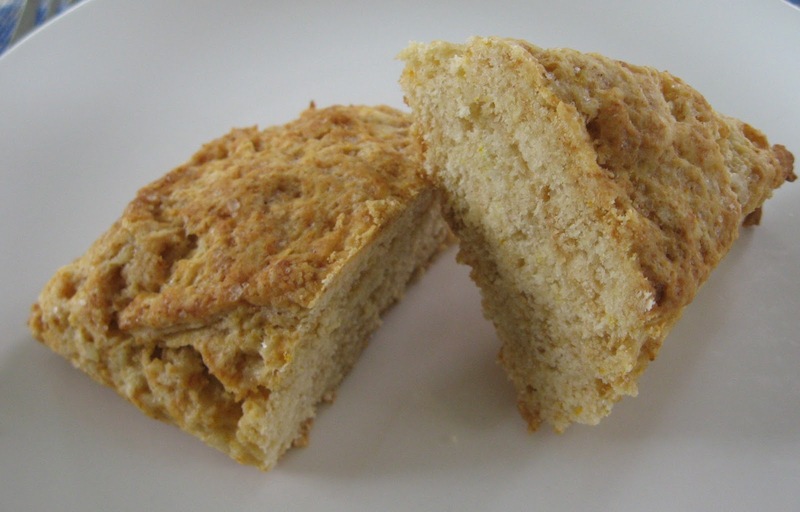 I bet you could really appreciate the bright citrus flavor from the orange, as well as the sweet, buttery flavor from the scone base without the addition of the chocolate you intended to use. Sounds delicious to me! 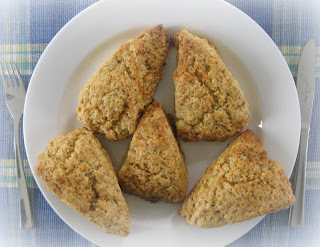 If you have a chance, I'd love it if you'd stop by and check out my scones too! Hope to hear from you soon. Have a great weekend! Hi Joy! Welcome here and to ABC Bakers of course! thanks for your comment, I'm hopping over to your blog right now. See you! Carb overload! Did you eat the chocolate chips as a 'side dish'?